Key diagnostic features include ST depression and peaked T waves in the precordial leads. The de Winter pattern is seen in ~2% of acute LAD occlusions andis under-recognised by clinicians. Unfamiliarity with this high-risk ECG pattern may lead to under-treatment (e.g. failure of cath lab activation), with attendant negative effects on morbidity and mortality. The de Winter ECG pattern was first reported in a 2008 case series by de Winter RJ, Verouden NJ, Wellens HJ et al. 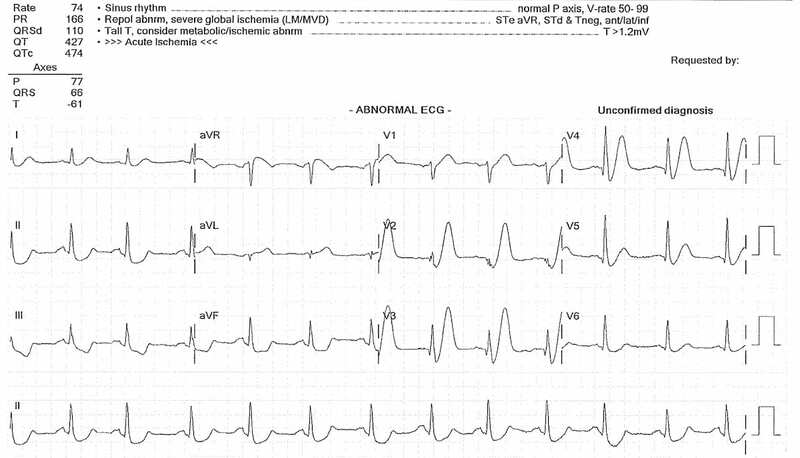 They observed this ECG pattern in 30 / 1532 patients with acute LAD occlusions (2% of cases). Verounden and colleagues replicated this finding in a 2009 case series. 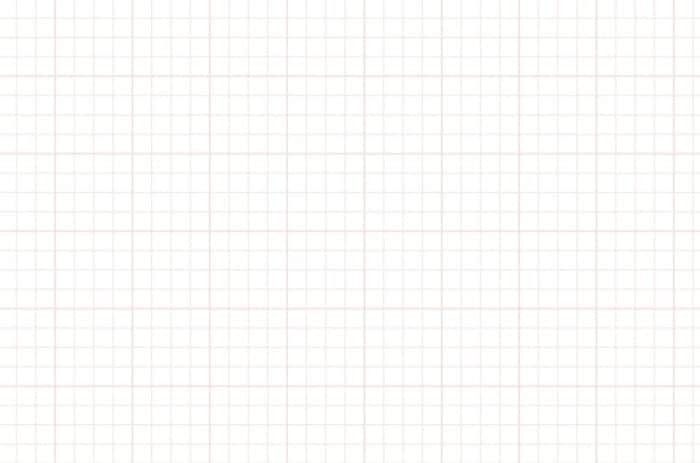 They found a de Winter ECG pattern in 35 / 1890 patients requiring PCI to the LAD (2% of cases). Patients with the de Winter ECG pattern were younger, more likely to be male and with a higher incidence of hypercholesterolaemia compared to patients with a classic STEMI pattern. There is now growing evidence to suggest that the de Winter ECG pattern is highly predictive of acute LAD occlusion. 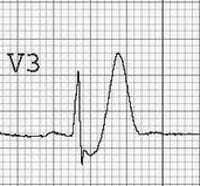 Some authors have proposed that the de Winter pattern should be considered a “STEMI equivalent”, and that patients with chest pain and this ECG pattern should receive emergent reperfusion therapy with PCI or thrombolysis. Original reports of the de Winter pattern suggested that the ECG did not change or evolve until the culprit artery had been opened. Since then, cases have been reported where the deWinter pattern evolved from, or evolved to a “classic” anterior STEMI. Upsloping ST depression in the precordial leads (> 1mm at J-point). Peaked anterior T waves (V2-6), with the ascending limb of the T wave commencing below the isoelectric baseline. Subtle ST elevation in aVR > 0.5mm. There is also some high lateral involvement, with subtle ST elevation in aVL plus reciprocal change in III + aVF. This is consistent with LAD occlusion occurring proximal to the 1st diagonal. Upsloping ST depression (> 1mm at J-point) in the precordial leads V2-6, plus leads I & II. Peaked anterior T waves, with the ascending limb of the T wave commencing below the isoelectric baseline. ST elevation in aVR > 0.5mm. This great ECG demonstrates de Winter’s T waves combined with features of anterior STEMI — the patient ultimately turned out to have an acute proximal LAD occlusion. Upsloping ST depression and peaked T waves (De Winter’s T waves) in V3-6. ST elevation in the septal (V1-2) and high lateral leads (I & aVL) with inferior reciprocal change, consistent with an LAD occlusion proximal to the 1st diagonal. Thanks to Jennifer Davidson for contributing this ECG.